You may not think about the refrigerant in your air conditioner very often (or at all.) However, it’s still a very important part of keeping your system running properly. In fact, without refrigerant, your air conditioner wouldn’t be able to absorb heat and vent it out of your home. Refrigerant is not actually a name for a specific fluid, though. Instead, it’s a blanket term for a number of different materials that are used for the same general purpose. For many decades, the most common type of refrigerant in use was Freon. In fact, this is still the name most people come up with when you ask them what refrigerant is. However, Freon has a number of problems associated with it that have led to it being phased out of use in air conditioners over the years. Now, Freon is all-but-gone from the field, which is part of the reason that you should replace your air conditioner if it uses the fluid. Learn more about why you should install a new system if your old one uses Freon, by reading below. As we move into spring, it’s important to look ahead to the summer months. The hottest months of the year are not that far off, and you’re going to be using your air conditioner more and more often as the year progresses. Problems are more likely to occur during this time, as the demand on the system increases. 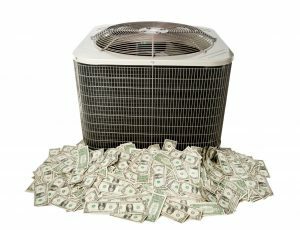 You need to know how to identify problems with the air conditioner, so that you can have it repaired as soon as you notice them. One of the best ways to do that is to listen for odd noises coming from the system.